It’s not every day you get noticed by the one of the most influential and most powerful companies in the world, what more approached and engaged by them. 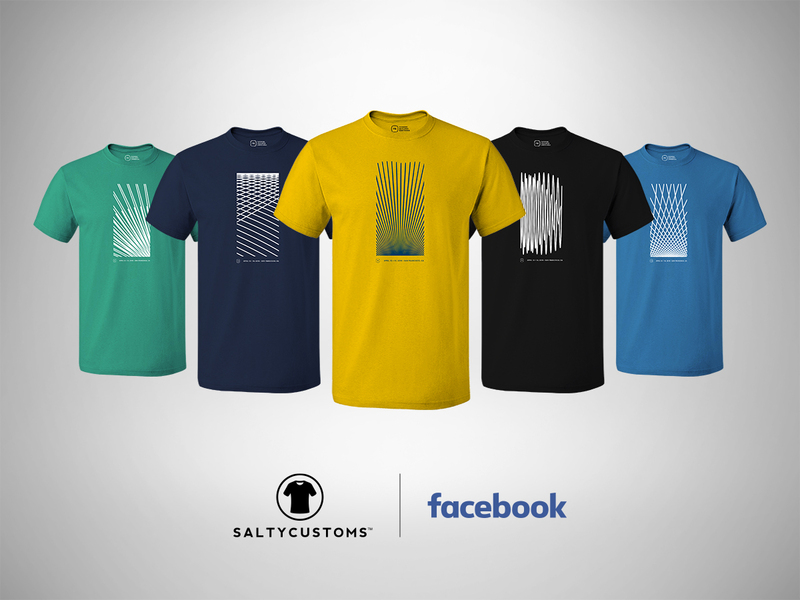 So, imagine the excitement that erupted within the walls of our humble office in Petaling Jaya, Malaysia when Facebook, all the way from San Francisco, appointed Saltycustoms as the official Apparel Partner for the F8 Facebook Developer Conference 2016. 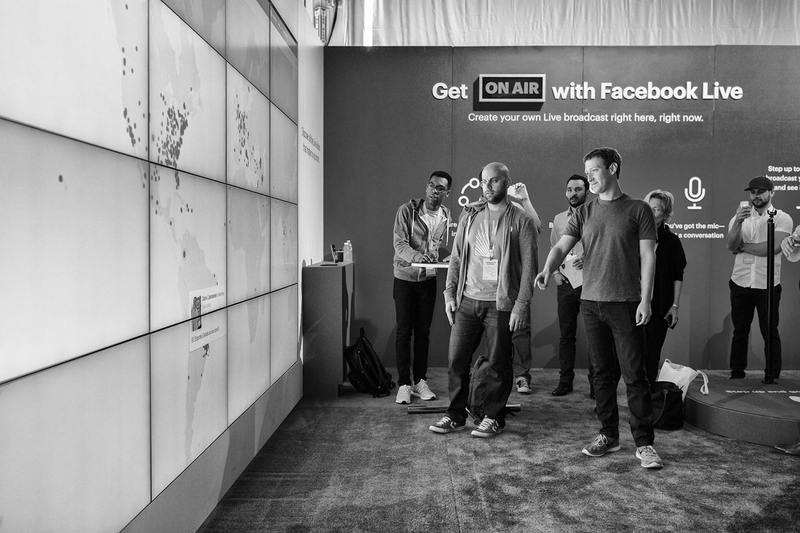 The F8 Facebook Developer Conference is an annual global conference held at Fort Mason Center, San Francisco to give developers a preview of upcoming products and a glimpse into the future of Facebook. Facebook commissioned us to produce 18,000 pieces of official event t-shirts and ship them to 36 countries around the world – including countries with heavy restrictions on the import of textile products, such as Indonesia, Philippines, India and more – before the conference, which was held on the 13th and 14th of April 2016. Facebook needed to work with an apparel company that could meet several criteria, which include ensuring that the t-shirts met international sizing standards, possessing the machinery and expertise to manufacture quality t-shirts that would reflect positively on a mega brand like Facebook, and of course, delivering all 18,000 t-shirts to all 36 countries on time (we were given 2 months to complete the order from A to Z). It came as no surprise to us that Facebook do take their t-shirts very seriously, as they play a huge part in their company culture. Facebook has a habit of making t-shirts for various occasions, such as Pride Day, the launch of their South Beach Café in Singapore and more, and t-shirts that bear the Facebook logo are worn by tens of thousands around the world every day. Facebook needed us to produce 18,000 t-shirts across 5 designs, and then ship them to 36 countries. As we do with all our orders, both big and small, our Apparel Consultants first established a timeline – including consultancy, design, production and logistics processes – to ensure that deadlines would be met. Then, costings were ironed out according to Facebook’s requirements, such as size breakdowns and print specifications. Our Production Department then put the t-shirts through stringent colour-proofing and sampling tests. The exhausting process took up to 10 days, just enough time for us to tweak the product to perfection. 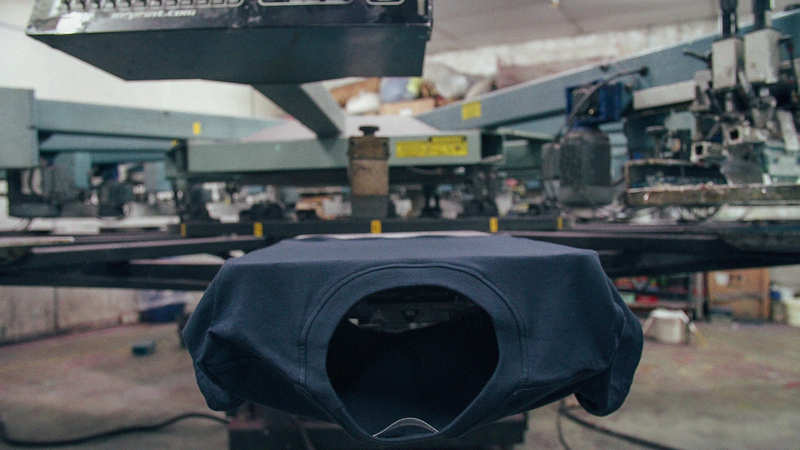 Upon receiving Facebook’s approval on the samples, our manufacturing facility dropped down a gear and went into overdrive, producing and packing 18,000 t-shirts within just 3 weeks. Each t-shirt was folded and packed into individual poly bags to ensure that the merchandise would be kept clean and protected during shipment. Next came our biggest challenge – shipping the order to 36 countries all over the world within 14 days. To achieve that, our Apparel Consultants, Logistics Department and even Directors liaised with Facebook in San Francisco and our network of logistics partners around the clock (across different time zones) to push the shipments through. We faced countless challenges throughout the shipping process, but with some wit and problem-solving skills, we managed to deliver all 18,000 t-shirt to all 36 countries on time. The final shipment arrived in Morocco just 2 hours before the conference commenced. At the end of the 2 grueling months, we managed to deliver everything that was requested. Representatives from Facebook were very complimentary of our work ethics, and they were even in awe that we managed to push all the shipments through as promised. Today, we continue to enjoy a close working relationship with Facebook, and we are currently working on various exciting projects for their office in Singapore. The F8 Facebook Developer Conference 2016 order was one of the biggest and most challenging tasks we have ever undertaken. However, we came out of it stronger, more mature and more united as a team. We gained invaluable experience in servicing a global, billion-dollar brand and working with some of the most brilliant minds of our generation. We learnt that by being able to problem-solve quickly and putting passion into everything we do, we can produce results that transcend expectations. This was indeed one of our biggest challenges, but also one of our most rewarding moments as a t-shirt company. If given the chance, would we do it again? Absolutely. We have more case studies to share with you. Join our mailing list below to stay updated!